DALLAS, February 5, 2015 – A.J. 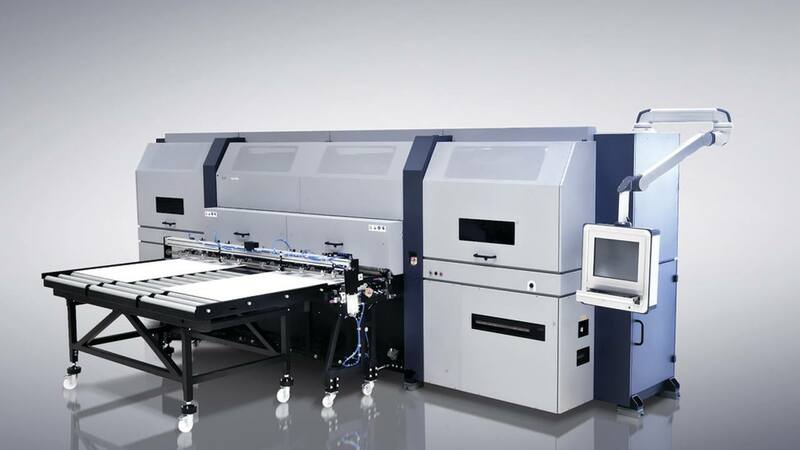 Bart, the major commercial printer known for keeping pace with the latest imaging technology to stay at the forefront of the industry, has acquired its first printer from Durst – a 98-inch Rho 1312 UV inkjet digital printer, the most productive 12- picoliter, hybrid UV digital printer in its class. A.J. Bart’s new printer is also the first Rho 1312 installed in North America. The company, which began as a small New York typesetter in 1956, today provides offset, screen printing, and large-format digital imaging services to a wide range of clients, including a growing number of Fortune 500 companies. A.J. Bart currently employs more than 200 people at locations in Dallas and New York City, and is poised to open a brand new, 260,000-square- foot facility. Founder Alvin J. Bart said the new Rho 1312 already is contributing to the company’s growth while it reinforces its reputation for offering clients the most advanced, innovative solutions. The company did its homework before deciding on the versatile Durst printer and has been pleased with its choice, he added. The 98-inch (250 cm) Rho 1312, which prints up to 6,600 s.f./hr., offers improved image quality, increased reliability during printing, and unparalleled media handling flexibility, particularly with difficult and heat-sensitive media. 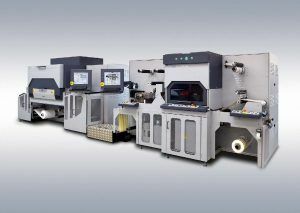 Durst’s Quadro Array print head technology, applying very small droplets of only 12 picolitres, enables a very high printing speed without compromising quality of the output. Images are crisp, clear and visually striking. The 1312 also incorporates “Gradual Flow Printing” for smoother tones over large areas and a high gloss finish, even at the highest speeds. A.J. 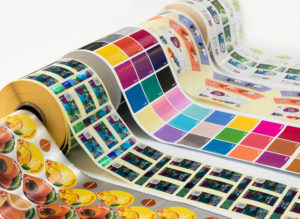 Bart is a full-service commercial printer that provides solutions from prepress to fulfillment. The company offers clients a variety of quality products from business cards to bus wraps and from e-commerce portals to digital printing. For information, contact A.J. Bart in Dallas at (972) 960-8300 or sales@ajbart.com, or in New York at (718) 417-1300 or bartsales@ajbartny.com. Additional information is available online at www.ajbart.com. Durst Phototechnik AG is a leading manufacturer of professional digital imaging systems. The company operates manufacturing facilities in Brixen, Italy, and Lienz, Austria, and has major offices in the U.S., France, United Kingdom, Germany, Spain, Mexico, Brazil and Singapore. The Durst reputation for quality, precision, innovation and reliability spans more than 75 years. For information on Durst Image Technology U.S., LLC or any of Durst’s products and services, contact Christopher Guyett, Sales & Marketing Coordinator: phone 585-486- 0340 x5270, fax 585-486-0350, e-mail cguyett@durstus.com. Or visit Durst U.S. online at: www.durstus.com.